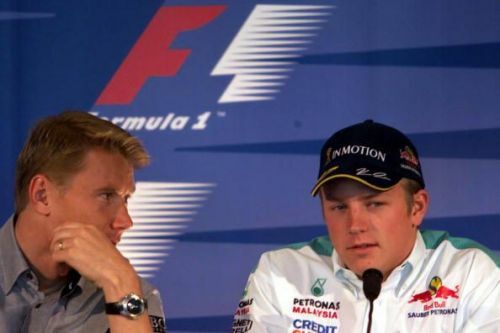 Mika Hakkinen (left) and Kimi Raikkonen are both F1 World Champions from Finland. Finland is a nation of less than six million people, and their success in motorsport is extraordinary for such a small nation. The Finns learn how to drive and race as soon as they can see over the steering wheel, so in some ways, it's no surprise that they've produced some of the fastest rally and circuit drivers of all time. This includes Formula 1, where despite there only being nine men to have competed in Grands Prix, they've had five race winners, with three of those winning the driver's world championship as well. Furthermore, if you were to include Nico Rosberg on this list (as Finns like to do), that would be four world champions in total. If that batting average was translated to the British drivers, there would be over 50 world driving champions from the United Kingdom. 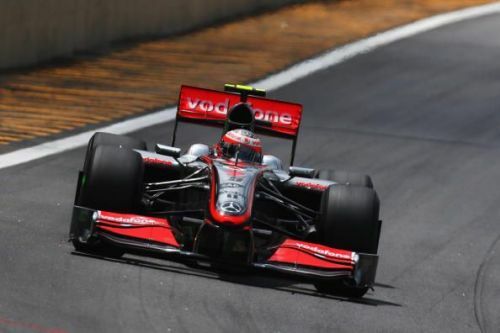 Kovalainen was hailed as a talent for the future but ultimately fell short. JJ Lehto and Mika Salo were both good drivers in their day, but Heikki Kovalainen just edges them to this spot. Kovalainen began his F1 career for Renault in 2007 and would've been the rookie of the year, had it not been for an incredible debut season by a certain Lewis Hamilton. Heikki consistently scored points during that campaign, and claimed his first podium at the extremely wet Japanese Grand Prix, resoundingly beating his teammate, the experienced Giancarlo Fisichella, in the driver's championship. Impressive drives like the one in Fuji earned him a seat at McLaren for the following year, with Fernando Alonso going the other way. '08 saw his first pole and win, but this was sadly the peak of his F1 career. 2009 was a fall from grace for McLaren, as their car resembled their current entries much more than the MP4-23 which Hamilton powered to his first title. Kovalainen was stuck in a midfield battle that he couldn't break out of, while Hamilton consistently out-performed the Finn, sealing Heikki's fate. Three years at Caterham/ Lotus provided nothing to write home about, and 2013 saw his final F1 starts, in a cameo role for the other Lotus team. While he was solidly out-driven by Hamilton at McLaren, Kovalainen was a solid driver overall, just not quite as good as some of his compatriots.